How Many Cupcakes Would You Like? Would You Like To Add A Personalised Plaque? 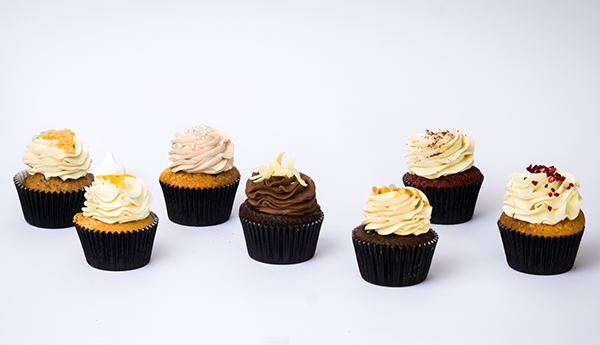 Our cupcakes are available in boxes of six and twelve and can be mixed and match to any combination you like. 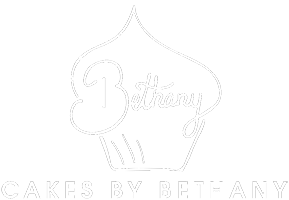 We also offer a personalised plaque for your cupcakes if you have a message you would like to add. 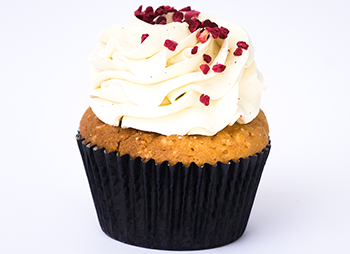 Classic vanilla sponge with raspberry jam filling, topped with our vanilla cream cheese frosting and freeze dried raspberries. Also available in gluten and dairy free option. 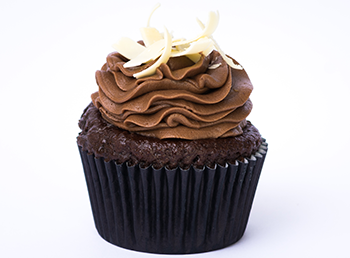 Dark chocolate sponge with white chocolate truffle filling, topped with our whipped chocolate frosting and white chocolate curls. Available in Gluten free and Dairy free option. 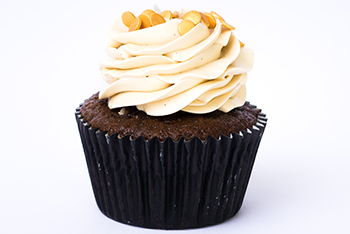 Rich toffee sponge with toffee sauce filling, topped with caramel frosting and edible gold confetti. Velvety red sponge made with the classic American recipe of creamy buttermilk combined with cocoa powder, topped with our vanilla cream cheese frosting and a sprinkling of red velvet crumbs. 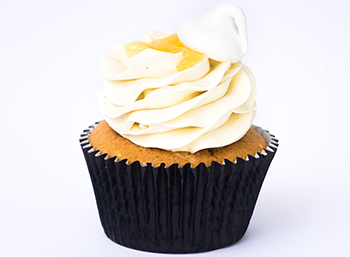 Fresh and zesty lemon sponge with a tangy lemon curd filling, topped with a sweet Italian meringue frosting and more lemon curd! 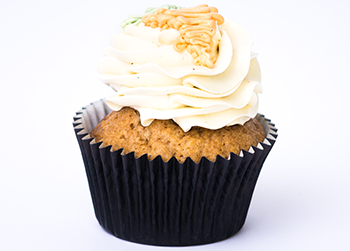 This almost classic carrot cake uses coconut and orange to create the amazing flavour and soft texture, layered and filled with vanilla cream cheese frosting and topped with hand piped mini carrots and cinnamon. 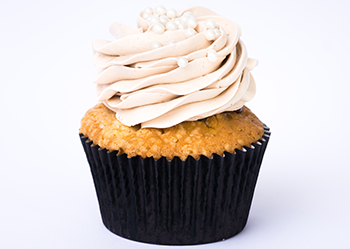 Vanilla sponge soaked in real prosecco with strawberry jam filling, topped with a buttercream swirl and opulent edible pearls.